Inquiry Management, Lead Management, Quotation Management, Marketing Management, Imagic solution. 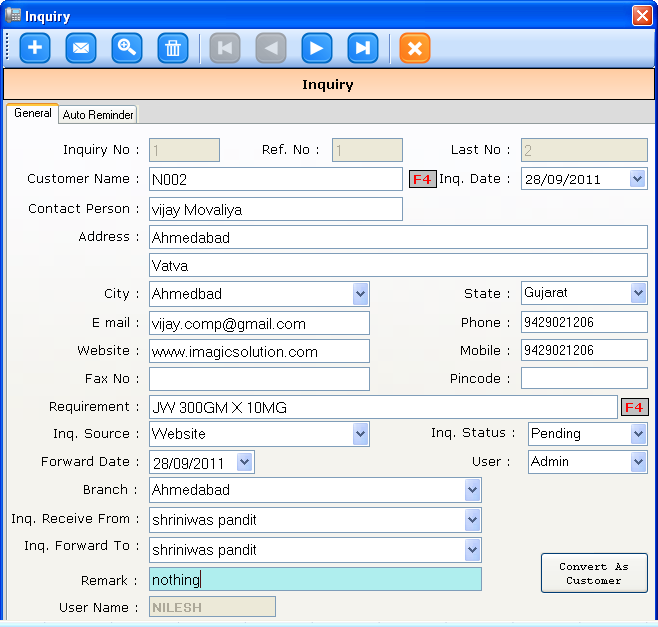 Imagic (Inquiry Management System), lead management software is tool for managing all sales opportunities. Inquiries / leads from all channels such as direct, website, phone calls, e-mails and other lead generation channels are collected. This central repository gives a overall picture of the prospects available for your product. It is then easy to maintain all the history about follow up actions quite easily. All the details about the prospects are filed easily too. That would be helpful for the sales people to get to know their prospects better and devise actions to convert them into customers. The follow up details would let you not only organize and streamline the lead follow up process but very clearly bring out your strong selling points. It will also help you pinpoint weaknesses in your selling approach. The contact management and the maintenance of history thus possible will improve the sales process of course. Additionally, it can help in incentives calculations. Customer relationships can improve too. Follow ups are always possible at correct and agreed times. You can attach relevant documents such as quotations, tender, excel sheets, documents for follow up etc. This way when you go looking at history, you do not need to go hunting to other documents all over your hard disk. Exporting data for mail merge is possible. That reduces a lot of burden for direct mailings. Data is backed up and restored regularly. Know your strong selling points. Know your weak points, why you lost the order. Complete trailing of follow ups and deals with Inquiries. 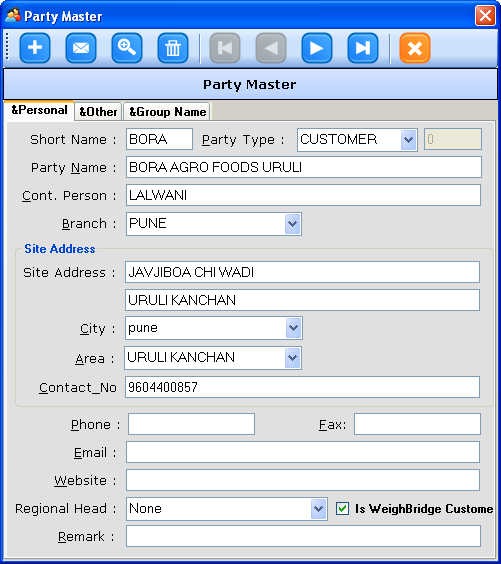 Manage Contact management and history. The user friendly and intuitive interface makes it simple to understand and easy to use. Any time review of the Inquiry.